Do you seem to run out of eggs no matter how many you buy? Or are you simply fed up of paying supermarket prices and not getting value for your money? If either of these apply to you, our Whole Egg Powder is the perfect solution! As a nation we use eggs in a multitude of recipes and meals, whether you make scrambled egg for breakfast, omelette for lunch, as part of a pasta sauce for dinner or anything you bake in between. 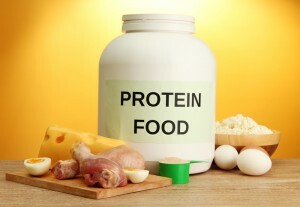 It’s also becoming increasingly popular to add eggs to protein shakes or as extra protein intake for athletes, gym users and general exercisers. This is why we think our Whole Egg Powder could be revolutionary; it can act as a nutritional substitute for all of the above, saving time, effort and money all at once! If that hasn’t convinced you, there’s also a whole bunch of benefits to using Whole Egg Powder as your egg substitute, no matter what the purpose! How can I benefit from Whole Egg Powder? The list of tasty treats you can make using Whole Egg Powder is endless! From pancakes and waffles to cakes and scones, anything you would usually bake with fresh eggs can be made with Whole Egg Powder. Why is this a benefit, you ask? I’ll tell you! The shelf life of Whole Egg Powder is an incredible 12-24 months from the date of manufacture, so you can keep our bulk supply in your kitchen without the worry of constantly running out of eggs or of the produce being out of date. Whole Egg Powder is an outstanding source of protein, as well as being surprisingly low in carbs and fat. The nutritional values it possesses allows you to feel a little less guilty about those treats we discussed above! It also means that Whole Egg Powder can be used as part of an athlete’s or exerciser’s balanced diet to enhance muscle repair and regrowth, optimising your training progress and allowing you to recover at a much faster rate. Conveniently, Whole Egg Powder is also lactose free, so it can be used in recipes for people with a lactose intolerance. If all of that isn’t enough, Whole Egg Powder also contains high levels of vitamins A, B and D! The benefits really are infinite. Last but definitely not least – the overall taste and texture of your food can be massively improved with the inclusion of Whole Egg Powder. How Can I Use Whole Egg Powder? So – it’s time to get creative! Whole Egg Powder is a wonderful product with a diverse array of possibilities when it comes to cooking and baking. We at Bacarel know that not everyone is a master chef, so we’ve come up with a few ideas to get you started – and once we’ve inspired you to experiment, you can send us your own recipes to share via Facebook or Twitter! Breakfast pancakes – why not swap the fresh eggs in your pancake recipe for our Whole Egg Powder? If you’re an athlete or body builder looking to substantially increase your protein intake, you could also add some Whey protein powder and make the ultimate protein pancakes. Serve with fresh fruit and Greek yogurt and you’ve got yourself one highly nutritional breakfast! Omelette - the versatility of an omelette is exactly what makes it so appealing to us sports nutrition geeks. Not only is it high in protein (even more so when using our Whole Egg Powder) but you can add what ever ingredients you like, so you’ll never get bored! Personally, I like to add some form of meat – you can never have enough protein! – and some chopped or flaked chili peppers to help increase metabolism rate. Experiment with your favourite omelette additions using our Whole Egg Powder, you’ll see that the eggs actually hold together better and you get a tasty result every time. On a wholly irrelevant yet equally beneficial matter, Whole Egg Protein is also a highly effective ingredient for fishing bait. Its binding properties combine with its high nutritional values to ensure that it makes a brilliant finished products that your fish will nourish on, leading to bigger and better catches over time. So now you know all about Whole Egg Powder – its benefits, how to use it and why it’s better than fresh eggs… What are you waiting for!? Next story Whey Gel – The Best Whey To Get Results! Previous story What do dehydrated ‘spuds have to do with charity?